As well as size, Enas has something else going for it: it's woven from jute, a tough plant used for making rope and cloth. This means it's hard-wearing and will stand the test of time. As well as vibrant greeen, Enas is woven with natural tones too – great for those who want a bold colour, that isn't in your face. 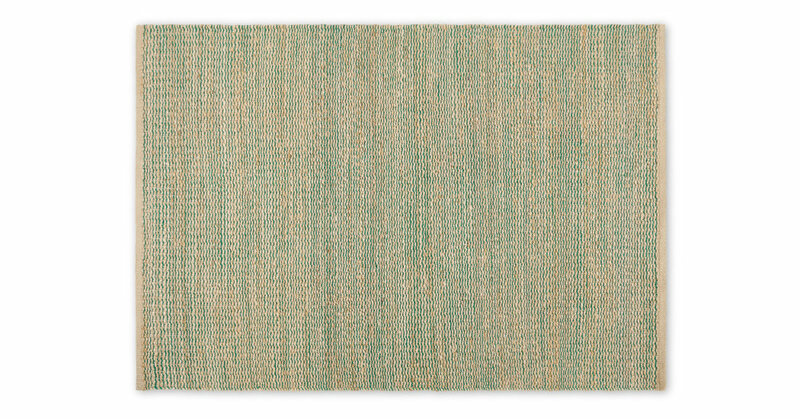 Jute's a natural fibre, meaning this rug adds a relaxed, laidback look to your space. And its size is perfect for areas like living rooms and bedrooms.